Thanks Tahj...shame that your injuries screwed your career in red and black. Whether repping the Wanderers on or off the pitch you were always putting in, plus as an indigenous member of our squad you demonstrated the breadth of our cultural and racial heritage. Hope the footballing Gods smile down on you wherever you go. He wasn't on the pitch much, but when he was, he made an impression! I hope he get over these injuries and return full time for a new team. real shame about his injuries, I have no doubt if he did not get injured this season, he would have been re-signed, he looked deadly in some games this season. I trust schlob. 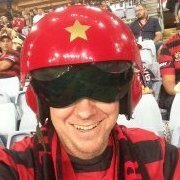 He knows the NSWPL scene pretty well! Found it on the nswpl official website. Signed with a club in the Philippines. He wasn't on the pitch much, but when he was there were signs of class! 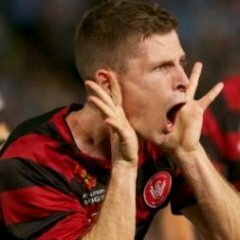 Such a shame WSW couldn't hang onto him whilst he got over his injury/s. I really think he could make much more of himself if he stays injury free. Former Western Sydney Wanderers forward Tahj Minniecon has signed with Philippine club Loyola Meralco Sparks in an attempt to get his professional career back on track. Minniecon started playing soccer with Canberra junior club Brindabella Blues, then called Blue Light, and was part of the Australian Institute of Sport program before signing with the A-League club Brisbane Roar. The 25-year-old also played for the now-defunct Gold Coast United and then the Wanderers, who released him at the end of last season. But the former Olyroo has signed a one-year deal with Loyola and will start in January with the view to resurrecting his career in Asia. His manager, Kaz Patafta, said he was over his recent injury woes. "The reason for him going there is to get into a side where he can at least just play out a season, because he hasn't been able to do that for a while now," Patafta said. "We start there and I'm sure he'll make a name for himself in Asia and those areas." Wait what? Kaz Patafta is a manager now? Is that the same Kaz Patafta? Isn't he about 25 himself? Current Australian national team coach, Ange Postecoglou, declared Patafta as "the most technically gifted player I've coached." Always talented, I assume he just couldn't be ****ed. Is he still playing for Sydney United?